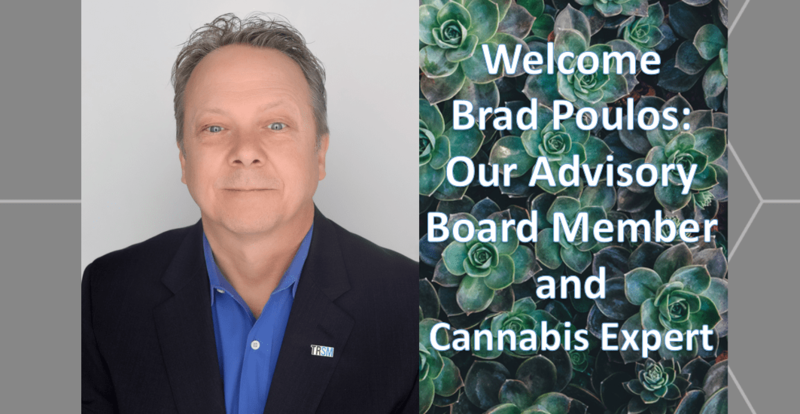 AXSource® is pleased to announce that Brad Poulos, an educator, entrepreneur, and expert within the cannabis industry, has joined the leadership team and is our newest addition to the AXSource® family taking on the title as our Advisory Board Member for Cannabis. Brad is currently a professor at Ryerson University within the Entrepreneurship program where he exercises his expertise of entrepreneurship, small businesses, and startups to undergraduate students. Over the recent years, he decided to invest in multiple start-ups within the cannabis industry and served as board members for these startups. Dating back to 1983, Brad held various positions at Telesat for 15 years. After this, in 1998, Brad became the President of mmWave Technologies, a 4-person company which included himself and his brother. Together, they grew the company to a #8 position on the Profit 100 list in the year 2000. In 2005 they sold the company and Brad became President, Chair, and CEO of Wireless Age, the public company that acquired mmWave. Being highly regarded within the cannabis industry, Brad regularly writes and engages on social media regarding news, current events, and topics relating to cannabis business in Canada. He has appeared in the media where he regularly contributes to discussing the cannabis industry and attends conferences relating to cannabis business. Having Brad join the AXSource® team this year is a great asset considering our new seed-to-sale solution for cannabis, D365 OCS™, also launched this year. Being both an integrated seed-to-sale ERP & compliance solution, D365 OCS™ is combined with Microsoft Dynamics 365 and serves the complex global Regulatory and Quality compliance requirements for the cannabis industry. Being developed in-house by AXSource®, D365 OCS™ meets Health Canada requirements for licensed producers. Another great addition to our growing company, welcome Brad Poulos!